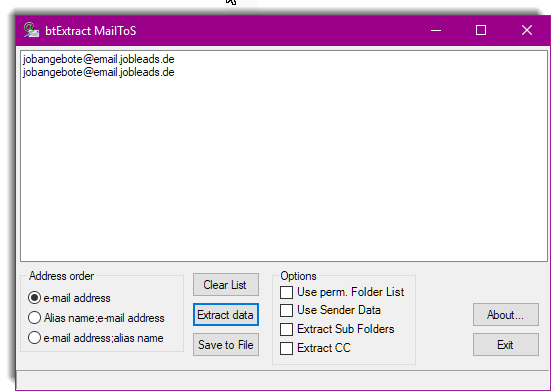 The application btExtractMailToS extracts all e-mail addresses from the application MS Outlook. All e-mails can be used as a source pool and can be located on any place. In the 2nd step you export these addresses into an arbitrary text file. The used language is English. Clear listbox before start next extraction. Intuitive extract manager take fast access to important functions.